Cocoona Centre for Aesthetic Transformation, which specializes in plastic, cosmetic, dental, orthopedic, weight loss, hair transplant, dermatology and dietary services, is offering free Breast Cancer and Skin Cancer screening during October, observed as the Breast Cancer month worldwide. The Breast Cancer and Skin Cancer screening will be held at Cocoona’s branches at Jumeirah Lake Towers [JLT] from October 18 to 20 and at Al Wasl [October 25 to 27] under the supervision of its expert dermatologists and plastic surgeons. For appointments, the number to call is 800362636 or email info@cocoona.ae. Breast cancer is the most common cancer affecting women worldwide, accounting for 16 per cent of all cases, but the condition is treatable and curable if detected in its earliest stages, for which the five-year survival rate is about 98 per cent. Similarly, one in every three cancers diagnosed globally is skin cancer, Skin Cancer Foundation statistics show. The free screening initiative comes close on the heels of Cocoona launching its revolutionary Patient Safety Assurance cover – the first-of-its-kind by any Aesthetic and Cosmetic Centre – for any post-operative complications of plastic surgery patients at its Al Wasl branch. Cocoona is an all-in one center for Aesthetic Transformation. The Centre specializes in Plastic Surgery, Cosmetic Surgery, Hair Transplant, Dental, Orthopaedic, Medspa treatments, Weight Loss and Dietary services. 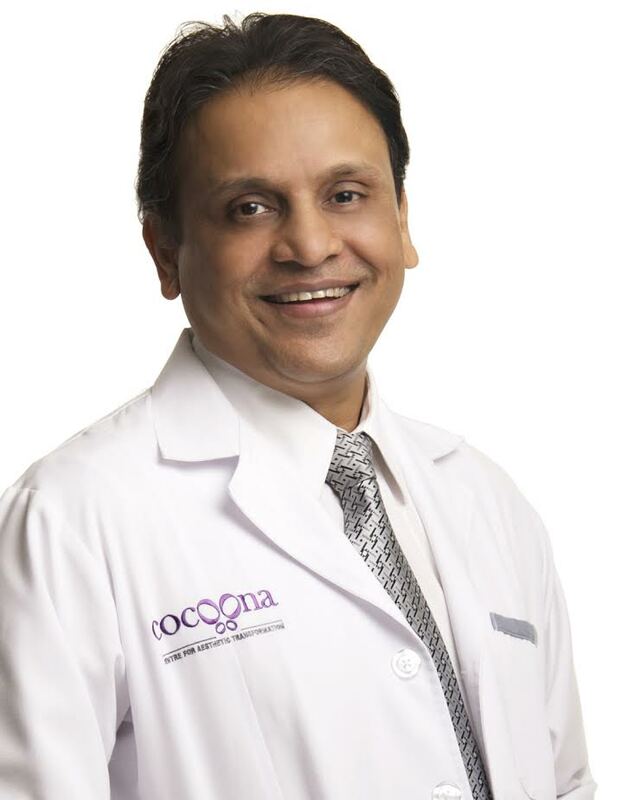 The Cocoona team is headed by Dr. Sanjay Parashar and comprises of 14 specialist / consultant doctors from around the world and the center’s facilities in Dubai include nine consultations rooms, five treatment rooms, and two operation theaters. The Centre is open in Al Wasl – Jumeirah and Jumeirah Lake Towers and has expansion plans for more in Dubai and other Emirates. Cocoona already has a presence in India. Robotic hair transplant treatment at Cocoona is huge hit!